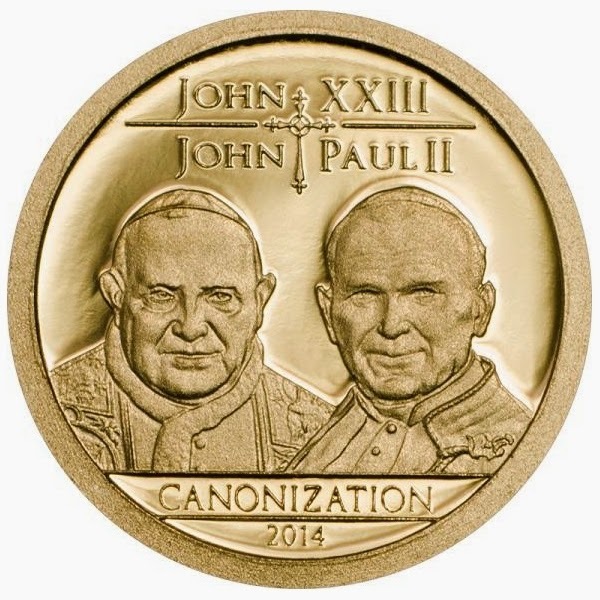 Live straight from the Vatican, from 4:00 to 6:00 pm on TV5 and from 3:30 to 6:00 pm on Aksyon TV, TV5 will air the coverage of dual canonization of Blessed Popes John XXIII and John Paul II this Divine Mercy Sunday. In solidarity with the Filipino people and the rest of the Catholic faith, TV5 defers from its usual programming this Sunday to give up-to-latest news on the canonization of the two Blessed Popes straight from the Vatican. News5's veteran news anchor Erwin Tulfo will report LIVE from the Vatican, while Cheri Mercado and Paolo Bediones man the studio from News5's headquarters in Reliance for the momentous "The Canonization: John XXIII and John Paul II." Blessed Pope John XXIII (Angelo Guiseppe Roncalli) is known by many as “The Good Pope”. During his pontificate, he called for the Second Vatican Council in order to address the issues faced by the Church in the modern world. Vatican II institutionalized changes that reshaped the face of Catholicism, including the use of the vernacular in the liturgy, a stronger emphasis on ecumenical dialogues, and a new approach to the world. While Blessed Pope John Paul II (Karol Józef Wojtyła), who is also known also as “The Traveling Pope”, have a special place in his heart for the Filipino people. He visited the Philippines in 1981, and return again in 1995 on the occasion of World Youth Day – a privilege enjoyed only by few other countries. The latter was attended by five million people, proving that the love was mutual. On April 30, 2000, John Paul II declared the second Sunday of Easter as the Divine Mercy Sunday, emphasizing the devotion to the Divine Mercy of Christ. The beloved pontiff, who died on April 2005 on the vigil of the Divine Mercy Sunday, was beatified on Divine Mercy Sunday, May 1, 2011, by his successor, Pope Benedict XVI. 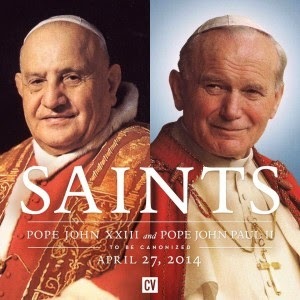 The ceremony to sainthood of Blessed Popes John XXIII and John Paul II will be celebrated by Pope Francis this Sunday, April 27, 2014, and the Filipino people will again be part of this momentous event through TV5’s live coverage.